This year the Tour de Fun is ecstatic to be hosting 50 "matches" from Big Brothers Big Sisters of Eastern MO (BBBS) for a special VIP experience that includes an exclusive meet & greet with Fredbird, free ice cream from Frosty Treats and more. Long time Tour de Fun supporter Mark Feldman has been on the Board of BBBS since 2005. Mark and his wife Marilyn have been the “bigs” for a 13 year old child named Larry for the past 7 years. He has taken Larry and his younger brother and cousin to Tour de Fun for a number of years and they have always had an amazing time. Al Snyder, who is a previous Tour de Fun chairperson is also active with BBBS and was recently named “Big Brother of the Year” for 2016. 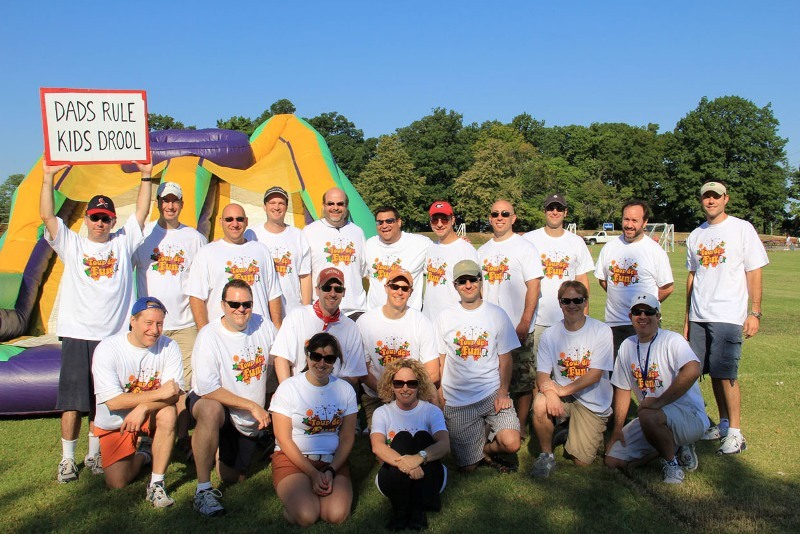 The connections between BBBS and the Tour de Fun make the partnership between the two organizations a perfect “match”. The mission of BBBS is to “build trusting and enduring relationships that encourage and support young people” and a day of enjoying the rides, games, food, vehicles and other attractions together at Tour de Fun is the perfect place for the "Bigs" and "Littles" to do just that. The 2015 Tour de Fun is now less than 2 months away and we dads need YOUR HELP to spread the word so we can make this the biggest, bestest and most funnest TDF in its 25 year history! We know how busy summertime can be though, so we're not asking you to take a whole 2 minutes out of your crazy day for nothing... that would be totally insensitive of us and if it's one thing us dads are experts at it, it's sensitivity. So to reward you for your share-a-rific efforts, we're going to give you a chance to win a FREE $100 JCC GIFT CARD that can be used for just about anything you have ever desired (that you can buy at the J for less than $100, at least). We are also giving away 20 Raffle Tickets that you can use to win one of over 10 awesome prizes (more details to come) in our raffle. Just sign in below with your Facebook account or email address and start sharing away. We promise to show our appreciation by doing the dishes and taking out the trash (without being asked by our wives), but more importantly, by making the 2015 Tour de Fun the most awesome family event you will take your kids to all summer. Good luck! 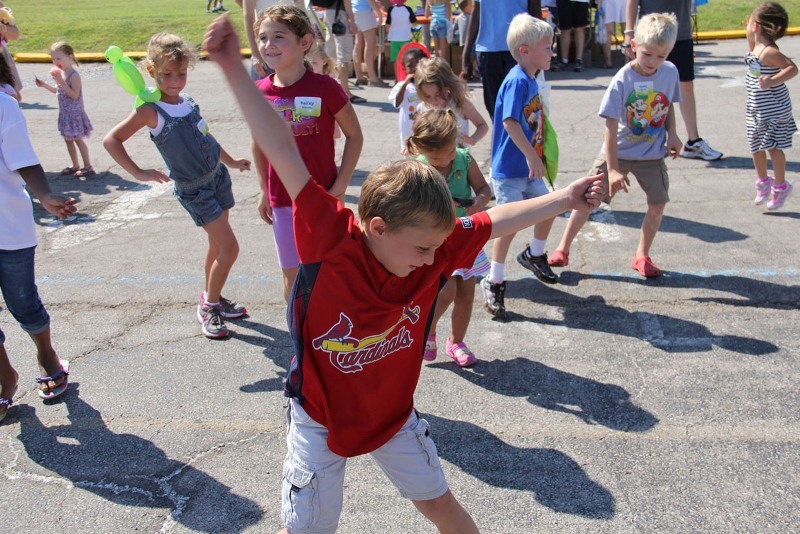 After months of preparation, many hours of hard work by staff, board members and volunteers, and weeks of excitement and anticipation by kids all over St. Louis, the TOUR DE FUN IS FINALLY HERE! The weather on Sunday is looking great... sunny with a high of 89 degrees, not quite as hot as the 100+ degree August temperatures of the past few years, but hot enough that a cruise through the Kiddie Car Wash will be a refreshing treat. All other rides, games and activities will be available all day. Plus, Ruffy, the River City Rascals mascot and Louie the Bear, from the St. Louis Blues, will be hanging out, ready to take some pictures and give the kids big hugs and high fives. If you are looking to grab a bite during the event, Kohn's Deli will have their famous pastrami sandwiches, along with other kosher eats from 10:30am until 1:30pm. For dessert, Tutti Frutti Frozen Yogurt will be on hand to cool you off with delicious (and kosher) frozen treats. Tickets for the 2013 Tour de Fun are $10 if you purchase them before 8/23/13 or $15 at the event and include all of these super fun activities and many more. Advanced tickets can be purchased online or by contacting Kimmi Levinson at 314-442-3109 or klevinson@jccstl.org. Local children's performer, Babaloo, is a "one-man musical comedy act for kids" that's high-energy, over-the-top fun complete with singing, stomping, dancing, shouting, music, magic, mayhem and LOTS of laughing. Oh, and then there's the props, which usually include buckets to bang on, beanbags to toss, dirty* underwear, bubble machines, a toilet paper blower and more. Babaloo is truly one of the most interactive and engaging children's acts that you will find in St. Louis and perhaps the entire country. Babaloo is not just fun for kids... his music is a jam-rock-folk mix that appeals to many adults as well and his shows are packed with inside jokes for parents that will make YOU laugh while your kids try to figure out what you thought was so funny. Sounds like a nice change from big yellow birds and hokey purple dinosaurs, right? And we've got him at the 2013 Tour de Fun on Sunday, August 13th, 2013 for not one, but two performances (exact times TBD). Whether your kids are Babaloo groupies or have never seen him in action, you don't want to miss it when he comes to ROCK the lot at this year's Tour de Fun! Tickets for the 2013 Tour de Fun are $10 if you purchase them before 8/23/13 or $15 at the event and includes Babaloo performances, along with tons of other awesome activities like inflatable rides, climbing wall, petting zoo, bubble bus, pony rides, dunk-a-dad and much more. Advanced tickets can be purchased online or by contacting Kimmi Levinson at 314-442-3109 or klevinson@jccstl.org. * not really dirty... we hope. The Tour de Fun Needs You! Without hundreds of amazing volunteers, donors and sponsors, the Tour de Fun would not be possible. Last year, over 600 excited kids came to the Tour de Fun to enjoy awesome variety of rides, games, music and entertainment. The funds raised from Tour de Fun also help support scholarship assistance for Early Childhood Education and Family programming at the JCC. The entire event is planned and organized by a committee of "dads" that are truly passionate (and maybe even a bit competitive, as dads usually are) about making the Tour de Fun one of the coolest and most fun family events of the Summer in the St. Louis area (and maybe even the ENTIRE WORLD). Anything you can do to help is greatly appreciated by all of us "dads", the children that benefit from the scholarship assistance program, and of course the hundreds of kids and their families that look forward to enjoying the event each year. Most of our volunteers have almost as much fun as the kids. As a volunteer, you will be tasked with either managing one of the activities or providing event support. If you are available for just a brief two-and-a-half-hour shift from either 9:15am-11:45am or 11:30am- 2:00pm on Sunday, August 25rd, 2013, we could really use your help. Many of our volunteers will coordinate with the rest of their family, so they can spend some time with them at the event either before or after their shift. Best of all, all volunteers get a FREE Tour de Fun t-shirt ! To sign-up to volunteer, simply click the "VOLUNTEER" link at the top of the site and fill out the simple form. The Tour de Fun is truly grateful for our wonderful and generous sponsors. Without these families, individuals and organizations that donate both their time and funds, this event would not have lasted one year, let alone 23 years! Sponsorship levels range from $250 up to $15,000 and provide some fantastic benefits, including complimentary tickets, promotional opportunities, recognition and more. Check out the sponsorship page to learn more about ways you can support the event this year or in the future. We also would be happy to discuss other sponsorship ideas or in-kind offerings. For more information about becoming a Tour de Fun Sponsor, please contact Kimmi Levinson at 314-442-3109 or klevinson@jccstl.org. To join the Family Fan Club, please contact Kimmi Levinson at 314-442-3109 or klevinson@jccstl.org. If you are on Facebook, LIKE the Tour de Fun Page and share it with all of your friends that have kids ages 2-10. Many new families are excited to discover Tour de Fun through word-of-mouth every year, and now that we are on the biggest social network in the world... we hope many more continue to discover it online! Tickets for the Tour de Fun are available for $10 if you purchase them before August 23rd, 2013. You can purchase them online at the JCC website or contact Kimmi Levinson at 314-442-3109 or klevinson@jccstl.org to reserve your ticket(s) . In addition to getting discounted admission, purchasing tickets in advance also gets your child a FREE t-shirt and goodie bag. Tickets will be $15 if you purchase them at the event. Tour de Fun is best experienced with as many friends and family members as possible. Tell your friends, family, neighbors, your family's friends, your friend's families and even complete strangers about the Tour. In fact, feel free to just shout out how awesome the Tour de Fun is going to be anytime you're in a place with lots of kids and families. They will be thankful for letting them know about it (or at least be thankful that you stopped shouting in public). Welcome to the NEW Tour de Fun Website! Thanks for stopping by the new Tour de Fun website! We will be posting updates, schedules, fun stuff and more on this page. Please check back soon.